Press release MSPO 2014 - Mesko S.A.
"Today's event is an exceptional day for Mesko and for Polish armament industry. Missiles Grom are a world-class product, that will become a part of next armed forces. ", Minister Mroczek noted. "I would like to thank you, Minister for supporting negotiation process that preceded signing the today's contract. It shows how important good relations with allies and neighbours are", Gen. Zenkevicius stressed. Contract with Lithuania, that will be realised by Mesko S.A. is a long-term one. It includes both production of missile sets, necessary instrumentation, simulators and trainings within the usage of the equipment. "Production of Grom missiles is a very important enterprise. The Lithuanian contract brings witness to a very good reputation of that product in the world. Making this agreement is a result of common activity of Polish government, especially Armament Policy Department of Ministry of National Defence and domestic armament industry. It is the only way to make military equipment produced in Poland get to foreign markets." said CEO of Mesko S.A. Waldemar Skowron after signing the contract. Thanks to the contract signed today, the short-range air defence sets produced by company from Skarzysko-Kamienna will be purchased by already fourth foreign country. So far they have been bought by Georgia, Indonesia and Japan. 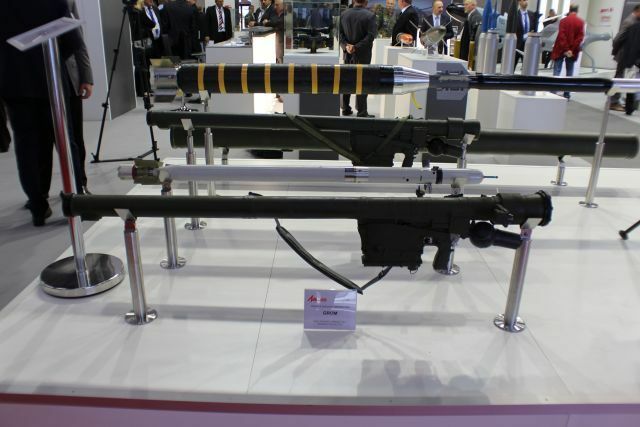 The Grom (meaning "thunder" in Polish) is a man-portable air-defence system produced in Poland. It consists of a 72 mm anti-aircraft missile set with a flight speed of 650 m/s, as well as a single-use launcher, re-usable gripstock and thermal battery coolant assembly electric unit.